Local Henderson businesses are keeping their doors open this holiday season! 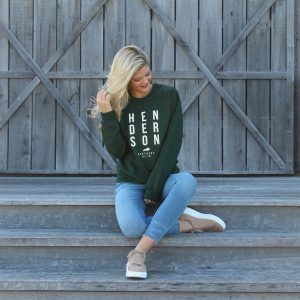 We found some of the most fun and festive things to do in Henderson! 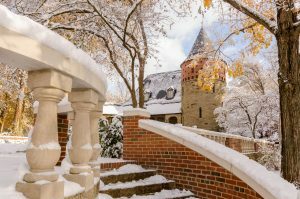 Check out these top 10 spots, and their holiday business hours as well! Henderson’s newest nano-brewery is celebrating the holidays by staying open on Christmas Eve! The brewery is typically closed on Mondays, so this is a special treat for tap lovers. 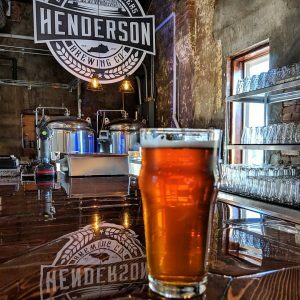 Hendo Brew Co. has a various selection of home-brewed craft beers that are unique to Henderson. Bring in your favorite restaurant’s carry-out dish and dine and drink with friends, the kids, and even the dog. They are also hosting aHoliday celebration at the brewery on Saturday as well! | Holiday Hours: Party on Saturday, December 22 will be from 6 p.m. to 9 p.m. Open on Christmas Eve from 4 p.m to 8 p.m. Normal brewery hours will resume on Thursday, December 27. 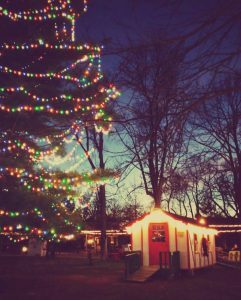 Christmas in the Park is a long-standing Henderson tradition. Central Park gets transformed into a winter wonderland village, complete with Santa’s workshop. The best part about Christmas in the Park, is that it is open day and night. 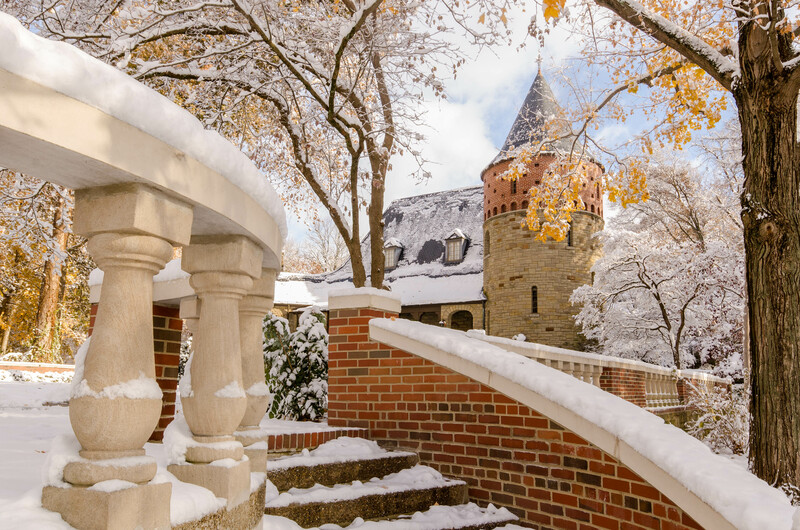 Venture through the castle, ring the Christmas train bell, and take photos during the day. Then come back at night for a spectacular display of lights. Walking underneath the bows of a two-story lit Christmas tree is one of the most magical experiences! | Holiday Hours: Open to the public 24 hours a day. Festively lit homes are scattered all around Henderson this season. We highlighted the top seven must-see homes that will make you say, wow! 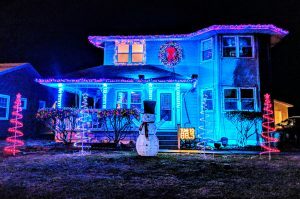 The top holiday home is on Robin Lane in Henderson, and has coordinated a rockin’ Christmas light show display that you can watch and tune into at 88.5 FM on the radio! 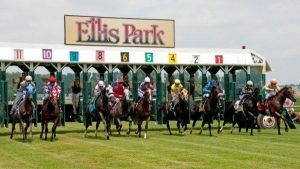 See the complete list with photos (and video) on our Facebook page! John James Audubon State Park grounds are open every day of the year. While the museum will closed temporarily during the holidays, a warm 55 degree December afternoon is a great time to go for a stroll on the park trails (and maybe walk off some of those extra Christmas calories). The state park closes at dusk, but if you wanted to go for an after-dinner stroll, head to the River Walk, which is a great well-lit trail for leisure walkers. | Holiday Hours: Open daily until dusk. 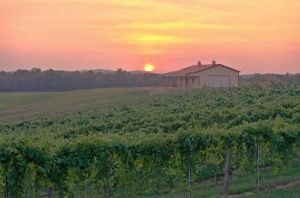 Get a taste of Henderson’s agriculture by visiting one of the town’s two wineries. Boucherie Winery has been operating in Henderson for 15 years. This family-owned and operated establishment has a great selection of house wines to taste. Local wine makes a great gift for a Christmas party hostess or a great addition to your holiday cocktail cart. Stop by for a sample! | Holiday Hours: Sunday, December 23 Boucherie will be open from 1 p.m. to 5 p.m., and will reopen on Wednesday December 26 with their normal business hours. 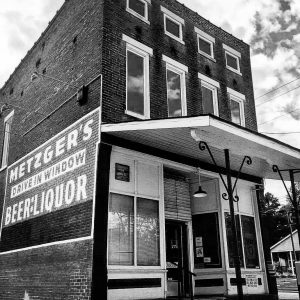 Good food and good times are to be had at Metzger’s Tavern! Metzger’s will be throwing a Christmas Party for its guests on Christmas Eve! 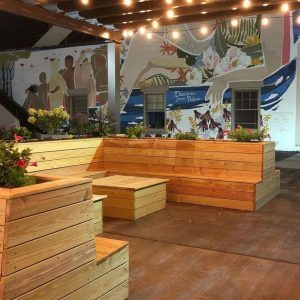 The tavern will open at it’s usual time on Monday, and will be hosting festivities, giveaways, and The Kitchen food truck serving select menu items until 6 p.m. Embrace the holiday spirit(s) and say cheers with your chums at Metzger’s Tavern! | Holiday Hours: Party on Christmas Eve starts at 7 a.m. and goes until 6 p.m.! 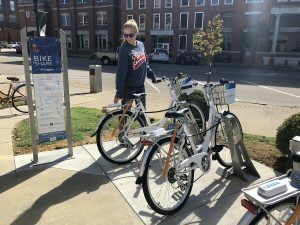 Downtown Henderson’s newest trendy activity is the rent-a-bike program through the free Zagster app! See the historical side of downtown Henderson from the seat of a bike. Main Street’s wide roads and dedicated bike paths are perfect for a leisure ride. Rides are about $3 an hour, plus you can get your first hour of riding for free for a limited time with the promo code UpgradeBikes60. The Zagster app is available in Apple’s App Store and Android’s Play Store. | Holiday Hours: Open to the public 24 hours a day.| Holiday Hours: Open to the public 24 hours a day.